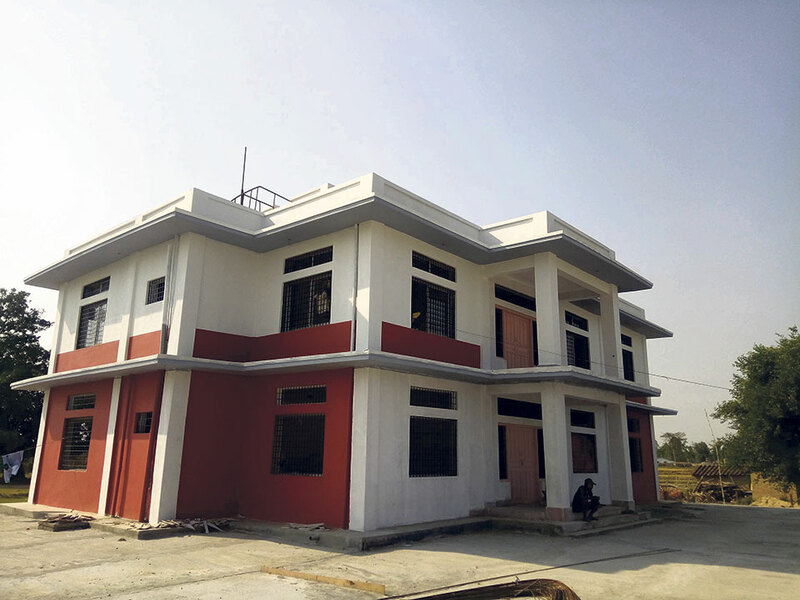 Yogesh Rawal/Republica Files The newly-built office building of Satti Customs Office. 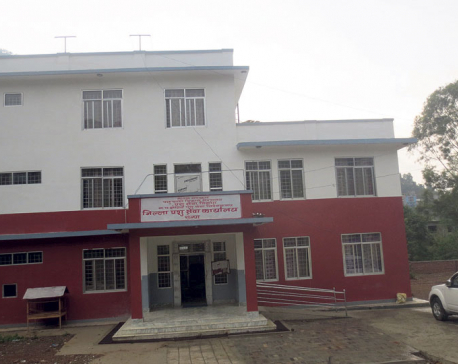 TIKAPUR, July 8: Locals and Tikapur and surrounding areas have welcomed the government's decision to upgrade Satti Small Customs Office along into a full-fledged customs office. On the call of Tikapur Chamber of Commerce and Industries (TCCI), they celebrated the decision by lighting up their homes with a belief that the decision will open up new opportunities in the area. The cabinet meeting held on Wednesday upgraded five small customs offices – Satti of Kailali, Bhadrapur of Jhapa, Thadi of Siraha, Maheshpur of Rupandehi and Suthauli of Kapilvastu -- into a full-fledged customs office. Tikapur Chamber of Commerce and Industry had been putting pressure on the government to upgrade Satti customs office into main customs office since long. The chamber had submitted over a dozen memorandums to the government, drawing their attention into the issue. Ram Bahadur Bhandari, general secretary of TCCI, said that the government has finally addressed their demands. “Our consistent efforts have bore fruits. That is why all locals and businesspeople of the area welcomed the decision by lighting up their homes and offices,” he said, adding that the government should add other necessary infrastructures at the office to give impetus to trade and economic activities. Local entrepreneurs say that the government decision will write a new chapter in the development of Tikapur area. Tika Ram Jaisi, Province 7 President of Nepal National Industry and Trade Organization, said he was hopeful that Satti Customs will now become one of the largest trading routes for the entire Province 7. “Very soon, there will be roads to connect Satti Customs Office to Karnali Province as well,” he added. Businesspeople of Lamki are also elated with the government's decision. Padam Raj Chaulagain, president of the Lamki Chuha Chamber of Commerce and Industries, that Satti Customs Office will usher in economic prosperity in the area. Kailali district now has two customs offices. Trinagar Customs Office, which is near temporary provincial capital of Dhangadhi, is already in operation. There are two other small customs in the district. Satti Small Customs had been mobilizing revenue of Rs 20 million annually, while Trinagar Customs Office has been collecting around Rs 4 billion every year. The government will depute a 17-member team of staffers to man Satti Customs Office from the first day of new Fiscal Year 2018/19 i.e. July 17. Before this, the chief along with the entire group of staffs used to be changed every month. The government has acquired three bigaha (one bigaha=14,400 square feet) of land for the customs office. A well-furnished office building for the customs office is already, while land has already been allotted to build a warehouse. There are 28 main customs offices and 138 small customs offices across the country.